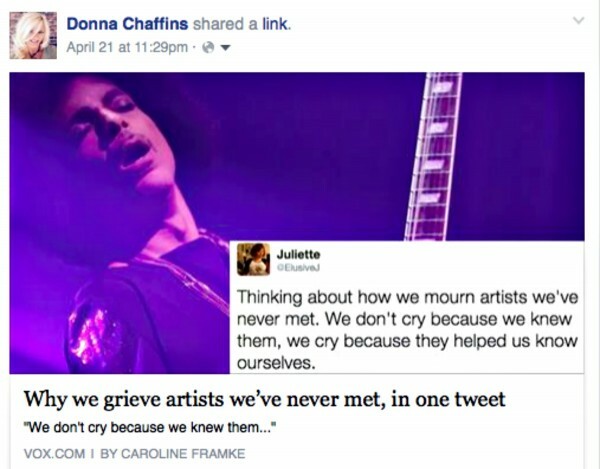 When I heard the news that Prince had died, I felt like I had lost someone close. Yes, I know that he was a celebrity and I never even met him in person… although I did see him in concert twice, I felt like I knew him. Prince was a huge part of my life during my later teens and twenties, through present day — Always really, since I never stopped listening to his music. When I was 16/17 I just knew I was going to be Mrs. Prince one day. A silly teenage crush, I know, but I so loved him. I lost count of how many times I’ve seen the movie Purple Rain. I had the album and listened to it thousands of times… there wasn’t one song on the Purple Rain album I didn’t like. And I sang his songs, which I know were not always appropriate for a young girl, knowing every word, even if I really didn’t know what a lot of the lyrics meant, although I did know they were “naughty”. It was more than the lyrics. It was more than his brilliant guitar or piano playing. It was more than…. He was more than. Which was evident in is physical stature. He may have only been 5’2″ but he was a giant. He was powerful. He was the only man who could wear eyeliner and high heels and take most any man’s woman. He could definitely make women swoon. “Thinking about how we mourn artists we’ve never met. We don’t cry because we Knew them we cry because they helped us know ourselves”. Thank you @ElusiveJ for saying what many of us feel. Prince was one of the most talented and gifted musicians ever. He was eccentric and odd, and not everyone’s cup of tea, but no one who has ever seen him perform could ever say he wasn’t an amazing artist. I love this performance of Purple Rain from the 1985 live American Music Awards. And for any southern fans, he say’s “Y’all” during his performance. 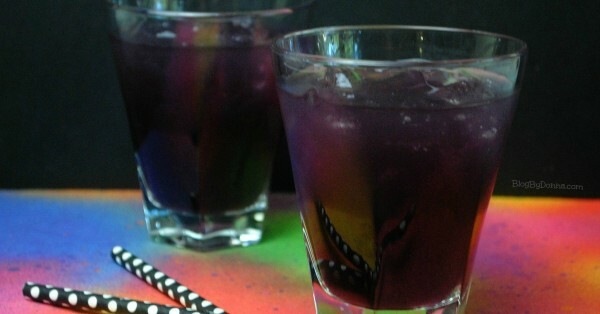 In a shaker glass add your liquors, juices, grenadine, and 3-4 pieces of ice. Pour into your glass that is filled 3/4 of the way with ice. 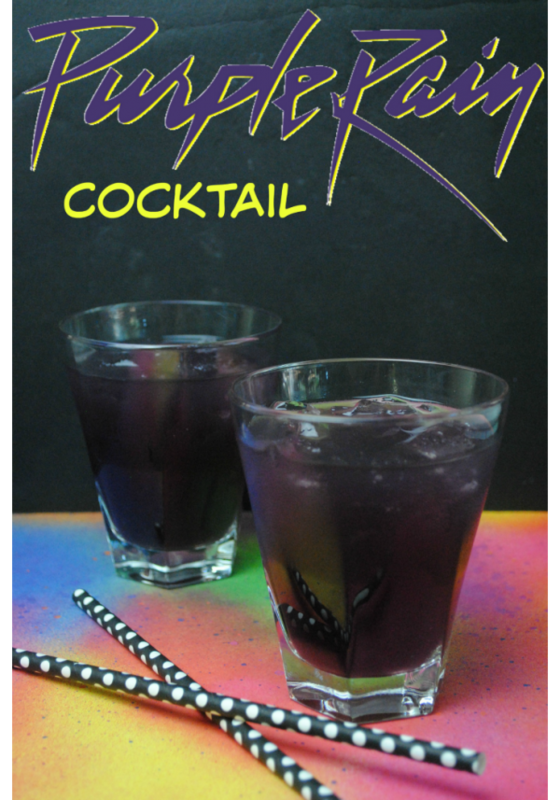 Make this Purple Rain cocktail sit back and listen to your favorite Prince songs and have a drink to honor Prince and to celebrate his life. I will miss Prince, but I am so thankful he shared his music and talent with us. Sweet Prince, you will never be forgotten. This post may contain an affiliate link(s). If you click through one of these links and buy something, I’ll earn some money, so thank you. Sounds like a wonderful drink. Prince will be missed.